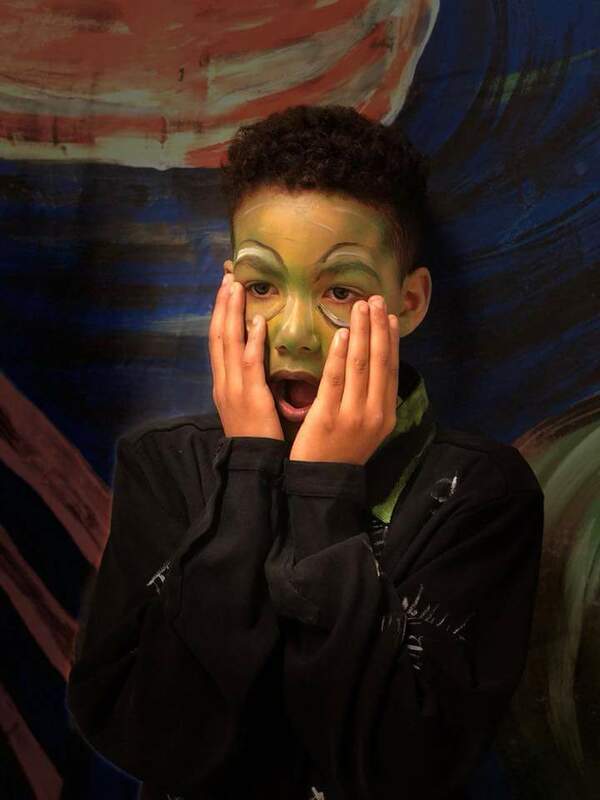 The hallways of New Prospect Elementary came to life as students from NPE and Swofford Career Center partnered together to present a museum-style art show with a twist! Visual Arts students at New Prospect Elementary and Swofford Career Center worked collaboratively since the fall to prepare a body of works for display. The works were not typical museum-style art featuring paintings and stationary frames. 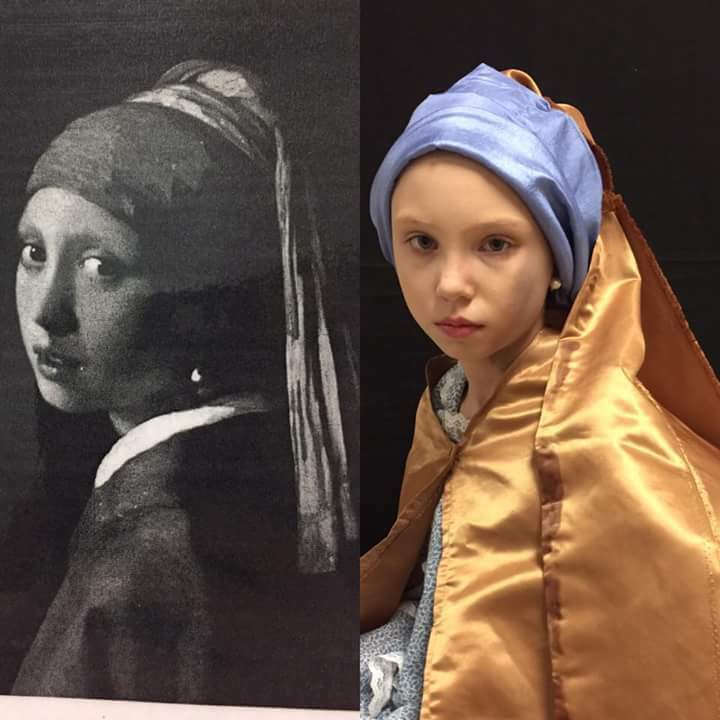 Instead, the elementary students themselves became the subject matter of well-known works of art and students at the career center became the artists. The quarter-long project began with a Google-based research prompt in which NPE students were required to find information regarding the work of their choice by a well-known artist. Next, the students used the Kennedy Center model for creative thought to imagine their work without the main subject; a part the student became in the creation process. They constructed props, backdrops, and costume items in experiences similar to stage design processes all while mastering the character or work’s overall message and tone through practice in tableau. 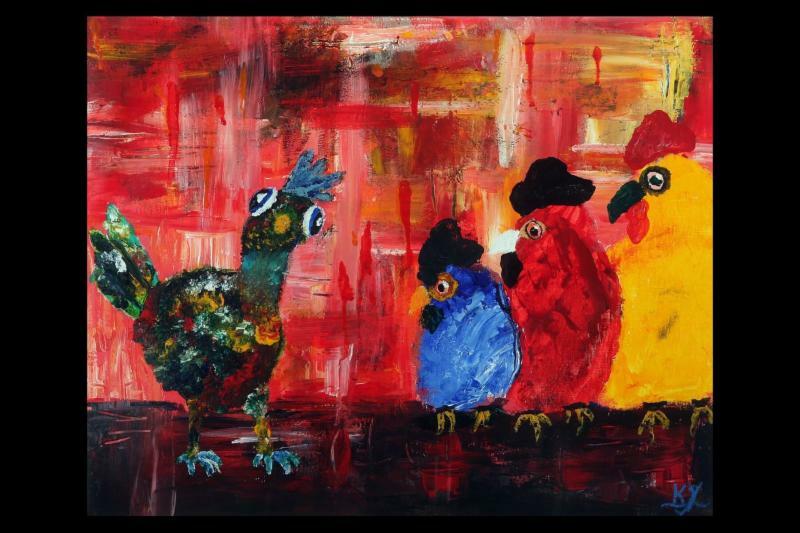 This exhibition was made possible through a partnership with Swofford Career Center, the Arts in Basic Curriculum Grant and the South Carolina Arts Commission. 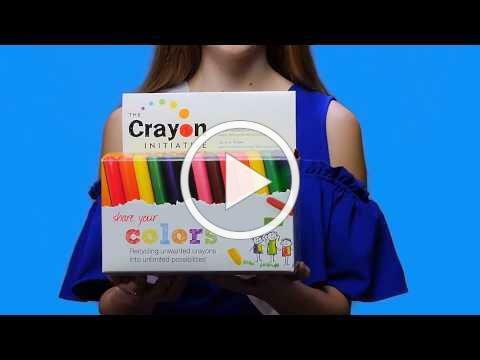 This month, all District One schools are participating in a service project called The Crayon Initiative in which every school will be collecting used, broken, or unwanted crayons. The collected crayons will be melted down, repurposed, and then distributed to children's hospitals across the nation. A portion of all repurposed crayons will be donated to our local Greenville Children's Hospital system. 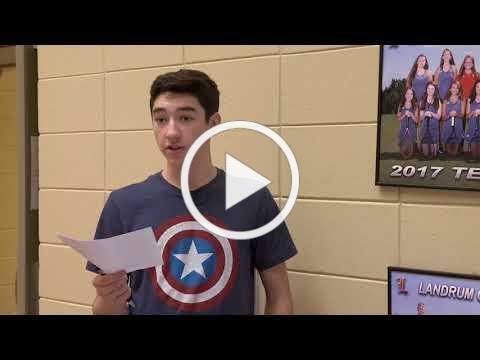 The idea for The Crayon Initiative was suggested by Chapman High School freshman, Carley Wilson, who will be competing in the Miss SC Teen pageant this summer. 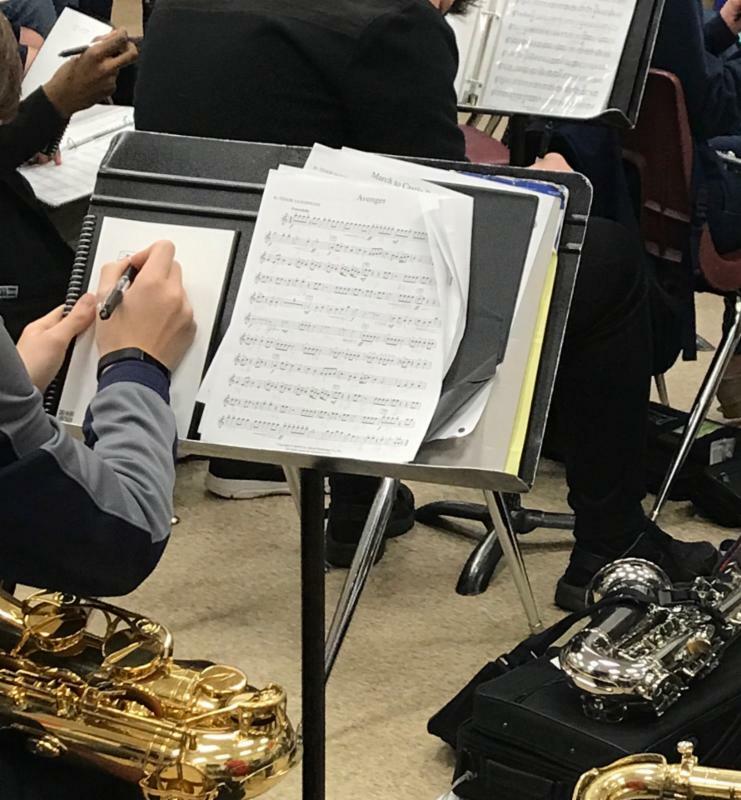 Band students at Mabry Middle School are using the latest in technology to improve their musical skills through the use of a smart notebook called the Rocketbook Wave. MMS Band director, Jessica Wofford, recently received a Donors Choose grant that supplied her with a classroom set of Rocketbook Wave notebooks and pens for her students to use. Anything that is written inside of a Rocketbook can be scanned into the cloud and may then be shared or accessed by others. 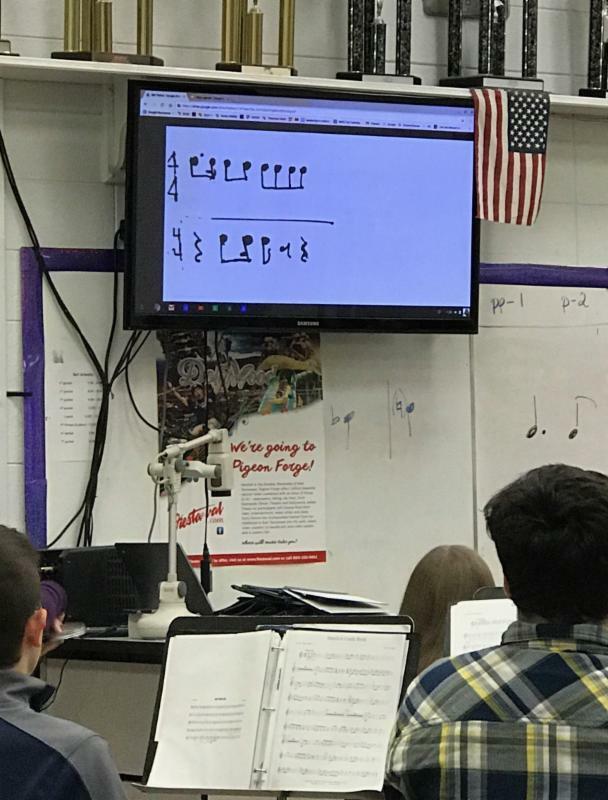 Ms. Wofford explains that she plans to use the Rocketbooks by allowing students to write simple rhythms, scales, or even short compositions, which can then be viewed by the entire class within minutes of being scanned. Students receive instantaneous feedback on their work and the students can learn from each other's works. The best part of the Rocketbook? Once a student has filled up his Rocketbook, the contents of the notebook can be erased with the push of a microwave button! By simply placing the Rocketbook inside of a microwave with a mug of water, the ink disappears within minutes and can be used over and over again. It is time to begin thinking about KINDERGARTEN! Spartanburg School District One will hold screenings for four-year-old kindergarten (4K) and registration for five-year-old kindergarten (5K) on Tuesday, March 13, 2018 from 7:30 AM until 4:00 PM , in all elementary schools. Listed below are the items that will be required on registration day. We look forward to meeting our new class of kindergarten students and working together to ensure they are all KINDER-READY! Students must meet eligibility requirements in order to be served in four-year-old programs. Child must be four years old by September 1, 2018. Based on screening results, the child may or may not be placed in a four-year-old program. Must provide an up-to-date immunization certificate from the state of South Carolina or a medical exemption certificate. Pink immunization records will not be accepted. Must provide proof of residency using one of the following: tax receipt, rental receipt, deed to property, lease or realtor contract. Child must be five years old by September 1, 2018. Must provide a completed immunization certificate from the state of South Carolina or a medical exemption certificate. Pink immunization records will not be accepted. Must provide proof of residency which must be documented using one of the following: tax receipt, rental receipt, deed to property, lease or realtor contract. 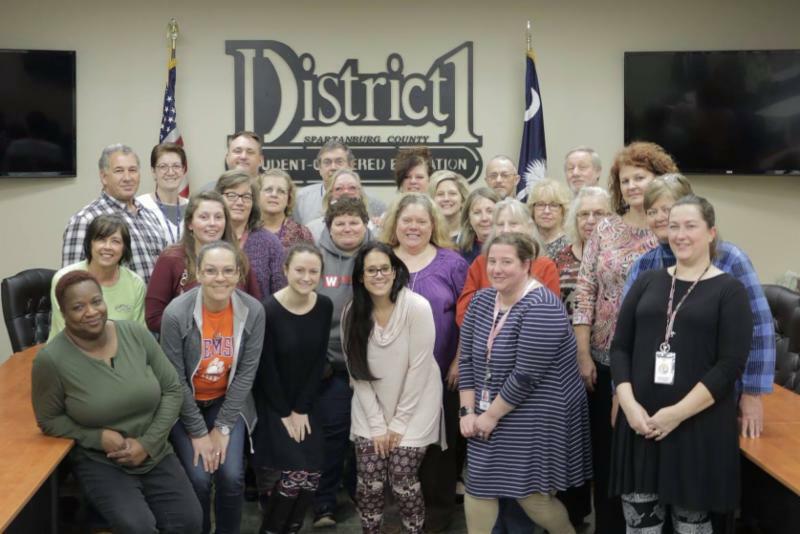 Congratulations to our 2018 Support Staff Members of the Year, who are truly the heartbeat of District One! 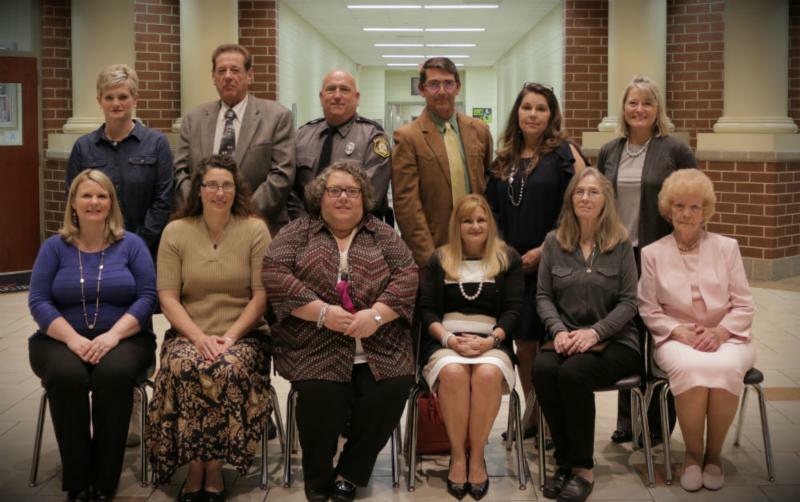 The daily contributions from these individuals contribute to our mission of providing a quality, student-centered education. 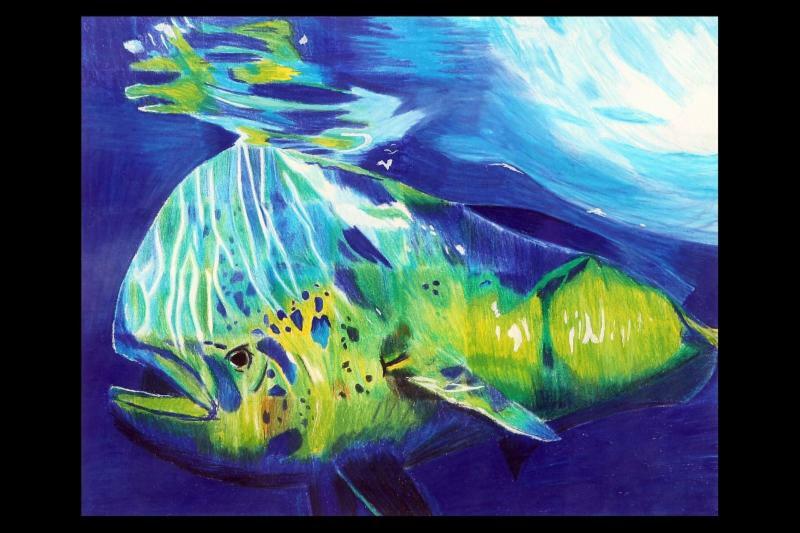 The Tryon Fine Arts Center is currently featuring the 5th Annual Showcase of Excellence, which includes award-winning artwork from Landrum and Chapman High School students. 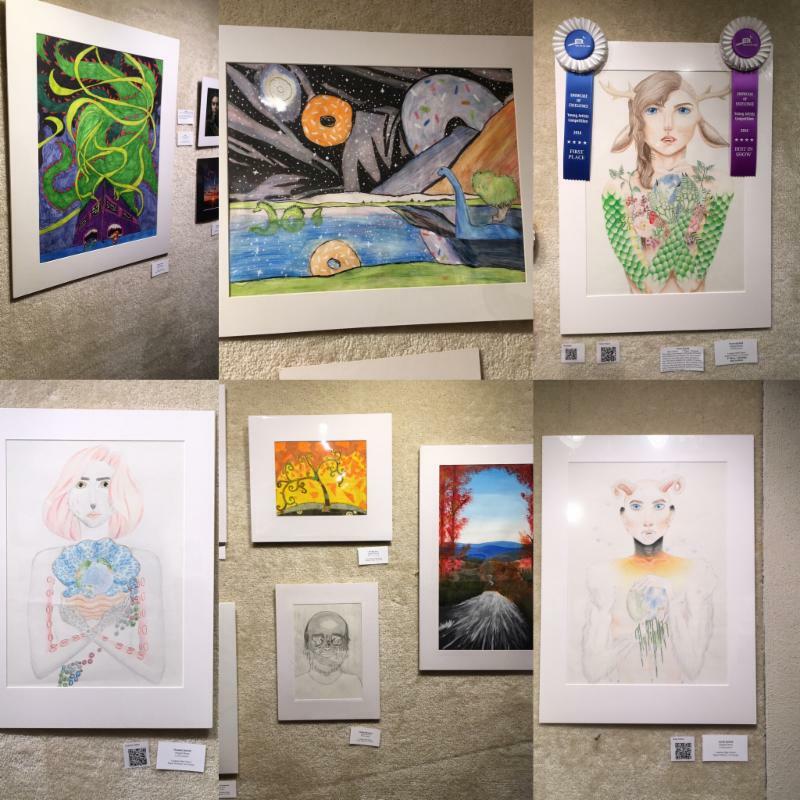 The Showcase of Excellence is a month-long fine arts program showcasing the talent and creativity of high school student artists in our area and celebrating the importance of arts in education. 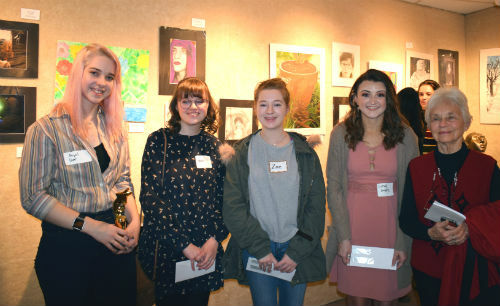 Congratulations to these talented students for having their artwork selected for this exhibit! 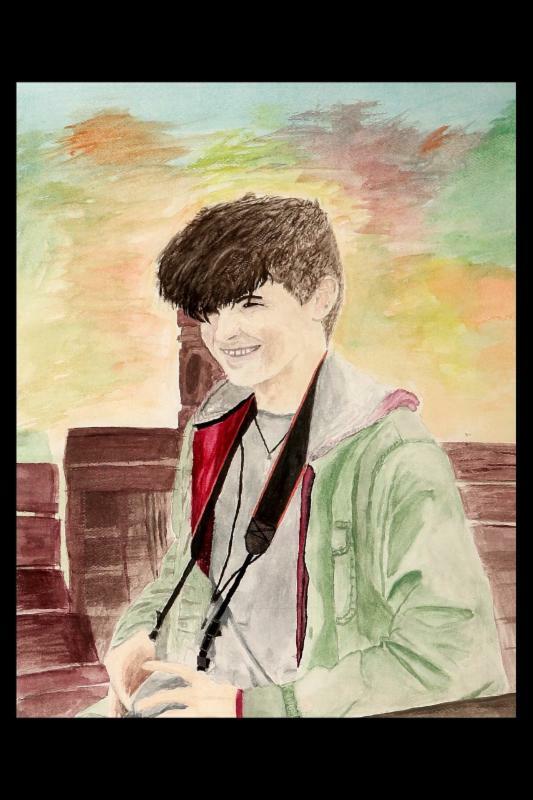 Special congratulations to Abby Doerr for receiving the Best In Show and 1st Place in the Drawing category! Through a community partnership with SC Telco Federal Credit Union, Landrum High School Juniors participated in a "Reality Fair" in which they learned first-hand about the realities that they will one day face with budgeting and finances. We "Wheelie" Appreciate Our Bus Drivers! Did you know that District One school buses cover an average of 1,000 miles each day? Last month we celebrated our dedicated school bus drivers and bus aides for the incredible job they do in transporting more than 2,600 D1 students to and from school safely each day. If you know a bus driver, take a moment and thank them for their role in making public education possible for so many! 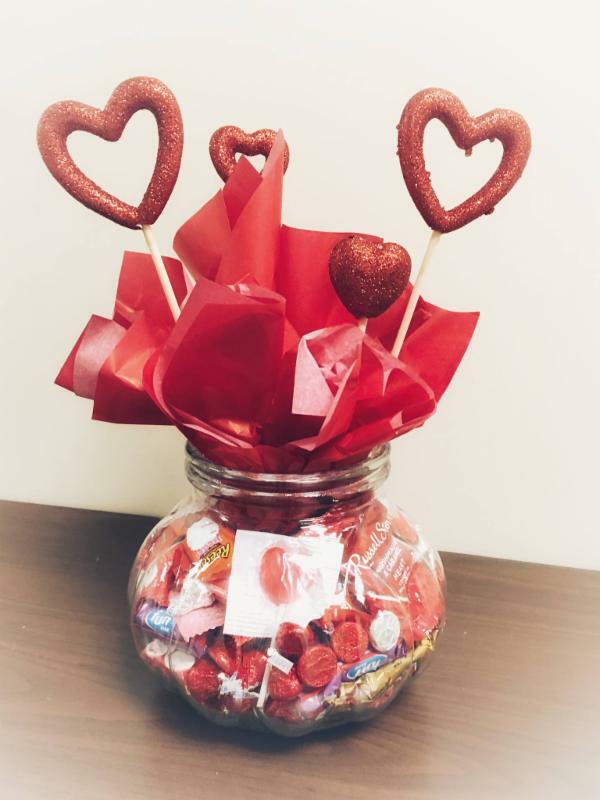 This Valentine's Day, we took to social media and spread some love! In an effort to promote engagement and encourage community members to follow us on social media, we often hold contests in conjunction with holidays and district events. 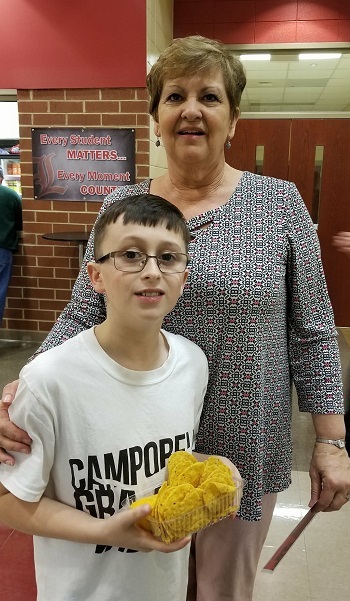 Ms. Zimmerman (pictured right) was the lucky winner of a VIP experience for two to an LHS Boys Basketball STATE PLAYOFF game! 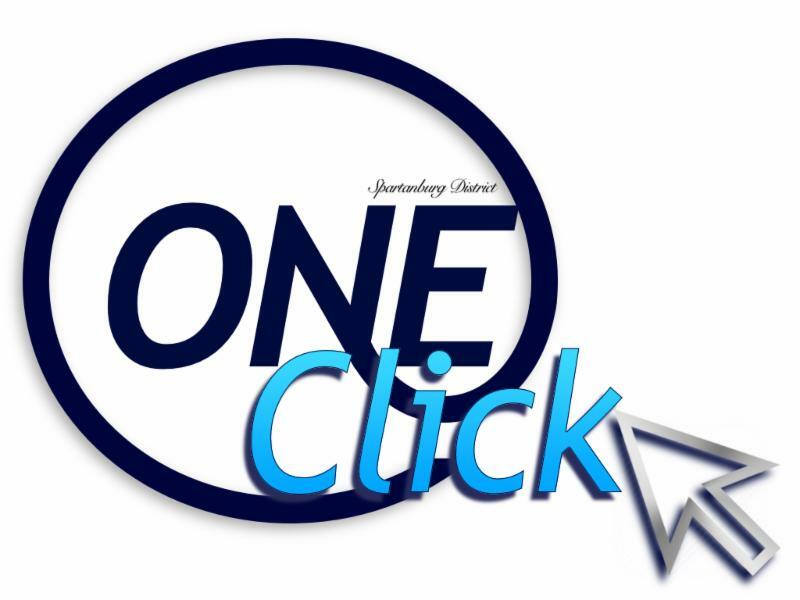 If you are not currently following District One, be sure to like, follow, or subscribe to all of our social accounts so that you never miss out on awesome pictures, videos, contests, or announcements! 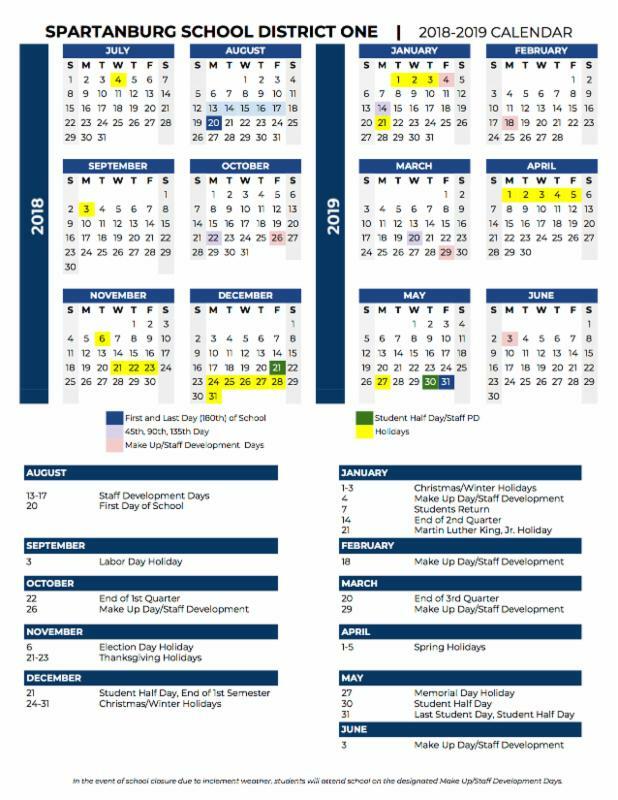 The 2018-2019 District One calendar is now available. Click the button below to access the downloadable PDF!